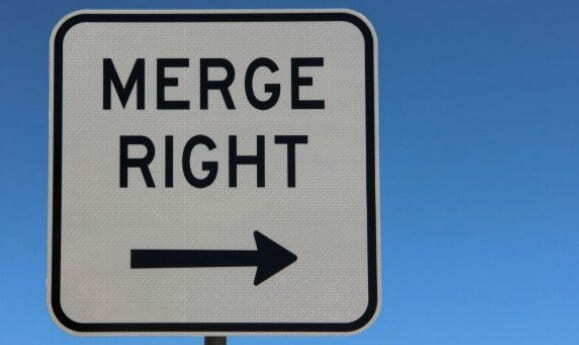 There are a lot of reasons why merging is good for a business, from boosting your profitability to diversifying your operations, however, it is always a stressful event. A lot of money and effort goes into matters such as coordination and organization that leave a manager completely drained just when the business is supposed to start performing at its peak. The situation may differ based on the type of the merger (vertical, horizontal, product extension or conglomerate) but the essence usually remains the same. Therefore, here are several tips that will allow you to make the merger happen without losing hair and money. First things first, you need to keep in mind that when making a merger you are entering a business partnership in which you aim to gain something. However, this is a point at which it is so easy to make a miscalculation. For instance, there might be a certain department in a company you hope to obtain (that made you want to merge in the first place), still, what guarantee you have that they will stay with the company even after the merger. On the other hand, retaining people is not your only concern regarding the personnel. You might also be forced to make some cuts, which usually involves severance pay. Apart from these two metrics, there’s always the issue of things that aren’t that easy to quantify. For instance, the importance of a client or a business contact that you hope to obtain in this way. Keep in mind that, now, you are a new company under a new management, which might displease some of these parties. In other words, you need to make sure that this merger will get you exactly what you hoped for, otherwise, it probably isn’t worth the effort. Another thing you should keep in mind is the fact that different companies have different cultures. However, from the moment of the merger, this will probably have to change, albeit not in a single day. This is particularly a problem when two offices aren’t based in the same state or even in the same country. Moreover, you need to reevaluate your stance on your clients, which isn’t as straightforward as you might have assumed. For instance, all over the world, companies are suddenly realizing that the customer is not always right. On the other hand, this is still how a lot of businesses function. So, what happens if you take over a company which makes most of its profits from the most disrespectful and uncontrollable clients? This alone can be a cause of a lot of trouble, which is why it is something you want to think of as soon as possible. After all, you can’t have two branches of your business representing different sets of values. What kind of message would this send about your brand as a whole? 3. Are Your Branding Efforts Going To Change? Big companies acquire SMBs on a daily basis but what if two companies of a similar workload and size decide to merge. Moreover, in the aforementioned situation where one company merges with an international partner, they might want to do some logo adjustment in order to match the needs of their target destination. For instance, a U.S. company that merges with a Sydney business might want to contact logo design Australia agency and see if there’s any way in which their company’s features can be altered to meet the local market. From the outside, it may seem as if the goal of every single business is the same – growth. However, the way in which you get there might be equally important, yet, it is not something that all companies or entrepreneurs agree with. Different corporations place different amounts of value on different metrics. Because of this, you need to clearly state your success factors from day one. For instance, your immediate goal might be to increase your market share. Another objective is to create a new line of product or acquire some additional intellectual capital. Keep in mind that your ability to fulfill these objectives might serve as an indicator of how successful your merger or acquisition was in the first place. At the end of the day, it all comes down to two major issues – a plan and the execution. In order for a plan to be an effective one, you need to start as early as possible in order to minimize the probability of omitting something important. As for the execution, you need to make sure that every single active participant is on the right track and knows exactly what needs to be done. Once these two objectives are met, the merger can proceed as seamlessly as possible. I hope you enjoyed this article about how you can successfully merge businesses without stressing out or losing money. Interested in more articles about business partnerships?